Energy is defined as the ability or the capacity to do work. which generating heat, and emitting light and work is moving something against a force, like gravity.There are a lot of different kinds of energy in the universe, and that energy can do different things. Heat is the ability to change the temperature of an object or phase of a substance. For example, heat changes a solid into a liquid or a liquid into a vapor. Heat is part of the definition of energy. 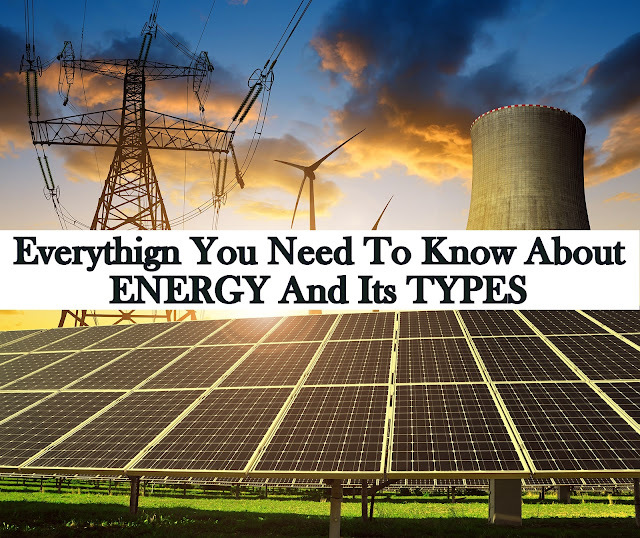 Another part of the definition of energy is radiation, which is the light and energy emitted in the form of waves traveling at the speed of light and moreover, heat and work — i.e., energy in the process of transfer from one body to another. After it has been transferred, energy is always designated according to its nature. Hence, heat transferred may become thermal energy, while work done may manifest itself in the form of mechanical energy. Energy is measured in units of calorie, quad, and joule. A kilo-calorie is the amount of energy or heat required to raise the temperature of 1 kilogram of water from 14.5°C to 15.5°C. The quad unit is used to measure energy needed for big countries. The final measurement of energy is joules.It is measured in ‘Joule’ to honor the achievements of James Prescott Joule, who in 1843 independently discovered the mechanical equivalent in a series of experiments using the ‘Joule apparatus’. It has various forms which measure the ability of an object to do work on another object.Which, they include nuclear, electrical, thermal, chemical, and radiant energy. In addition, gravitational potential energy and kinetic energy that combines to produce mechanical energy. aspects of the same thing, mechanical energy. What is Potential Energy ? Potential energy exists whenever an object which has mass has a position within a force field. As we discussed above that the energy is is the ability to do work. So, potential energy is a form of energy that will be able to do work at some point in the future. When the potential energy is waiting to do this future work, it needs to be stored somehow. Because of this, potential energy is also often referred to as stored energy. When at rest, all objects have a rest mass potential energy. Even if the object is in a position where it’ll soon get affected by gravity and fall, it has gravitational potential energy. Once an object starts moving, potential energy is converted to kinetic energy, which is the energy of motion. h is the height of the object goes. 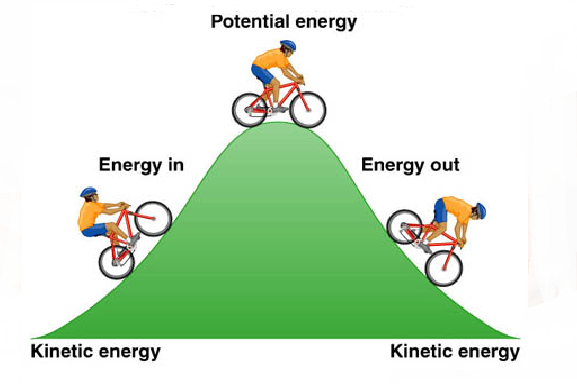 What is Kinetic energy ? motion, has kinetic energy. If we have to speed up an object, then we need to apply a force. Applying some force, in turn, requires us to do work. After we do the work, our energy gets transferred to the object, and the object will now start moving with a new constant speed. This energy that you transfer is known as kinetic energy, and it still depends on the mass and speed achieved. There are different forms of kinetic energy vibrational, which is the energy due to vibrational motion, rotational, which is the energy due to rotational motion, and transnational, which is the energy due to motion from one location to the other. This equation shows that the kinetic energy of an object is directly proportional to the square of its speed. Nuclear energy produces heat by fission on nuclei, which is generated by heat engines. Nuclear energy is the world’s largest source of emission-free energy. There are two processes in Nuclear energy fission and fusion. In fission, the nuclei of uranium or plutonium atoms are split with the release of energy. In fusion, energy is released when small nuclei combine or fuse. The fission process is used in all present nuclear power plants, because fusion cannot be controlled. Nuclear energy is used to heat steam engines. A Nuclear power plant is a steam engine using uranium as its fuel, and it suffers from low efficiency. Magnetic energy is there inside a magnetic field, which leads to various metals either repelling or attracting each other. The energy results from the magnetic field of a magnet or a current carrying wire. atoms in an object. The kinetic and potential energy associated with this random microscopic motion is called thermal energy. A great amount of thermal energy (heat) is stored in the world’s oceans. Each day, the oceans absorb enough heat from the sun to equal the energy contained in 250 billion barrels of oil (Ocean Thermal Energy Conversion Systems). Radiant energy exists in a range of wavelengths that extends from radio waves that many be thousands of meters long to gamma rays with wavelengths as short as a million-millionth (10– 12) of a meter. Radiant energy is converted to chemical energy by the process of photosynthesis. Gravitational Energy - When we lift a box from a surface like ground by using energy in our arm muscles, what really happens to that energy? The answer is that it gets converted into gravitational potential energy. Gravitational potential energy, or GPE, can be described as height energy. So, the higher up an object is placed, the more GPE it has. The energy is transferred as a result of work done by gravity, for e.g. water falling down a waterfall, roller coaster, and reservoirs. Boys use electricity that is stored in batteries as chemical energy. Other items use electricity that comes from an electrical plug in a wall socket. Electricity is the conduction or transfer of energy from one place to another. The electricity is the flow of energy. Atoms have electrons circling then, some being loosely attached. When electrons move among the atoms of matter, a current of electricity is created. Solar energy is the most easily available source of energy as nobody owns it and is, therefore, free. 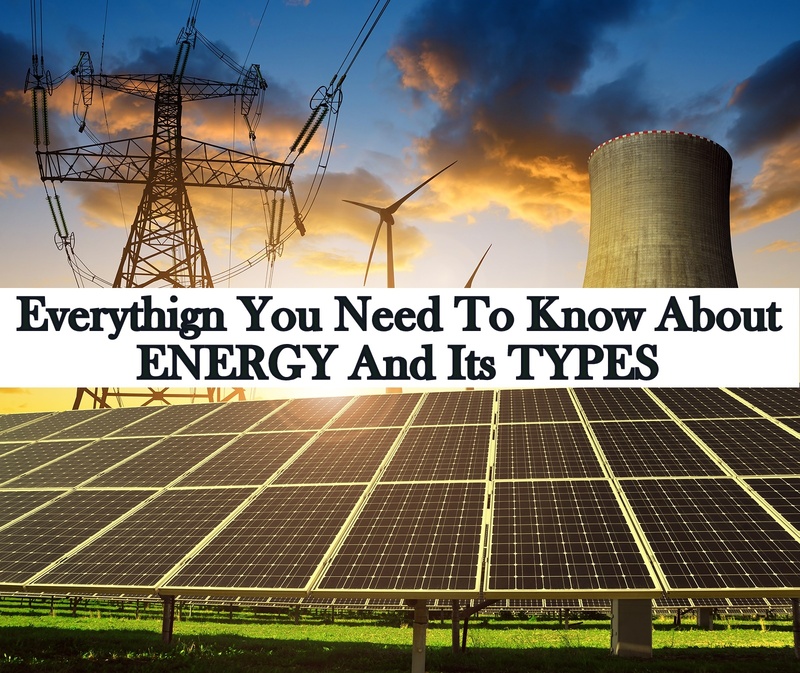 It’s also one of the most crucial forms of energy as this non-conventional source is non-polluting and helps in reducing the greenhouse effect. Solar energy has been in use since prehistoric times, but of course, in an archaic manner. Before 1970, there was research and development done in a few countries to use solar energy more effectively, but most of this work remained mostly academic. After there was a dramatic rise in the oil prices in the 1970s, many countries started to devise extensive research and development programs to make use of solar energy.